This homemade potpourri is easy to make, smells amazing and adds a festive scent to holiday parties and celebrations. Perfect for any occasion! When you walk into your home what do you see? Is it cluttered or clean? Messy or orderly? Is it the sound of your beloved pets welcoming you home or the laughter (or bickering) of children? Pet odors or air freshener? Your spicy garlicky dinner or the scent of flowers? I almost always notice the smells as I engage with my surroundings. A pleasant scent immediately makes me feel welcome while an overpowering odor grabs my attention. We’ve owned pets for years and I always wonder if someone might sniff out a bad odor when they visit us. 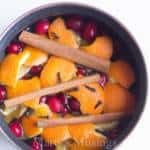 With this easy simmering homemade potpourri the worry is gone! I love to make the potpourri because it’s easy, smells amazing and adds to the festive party atmosphere when I’m entertaining. 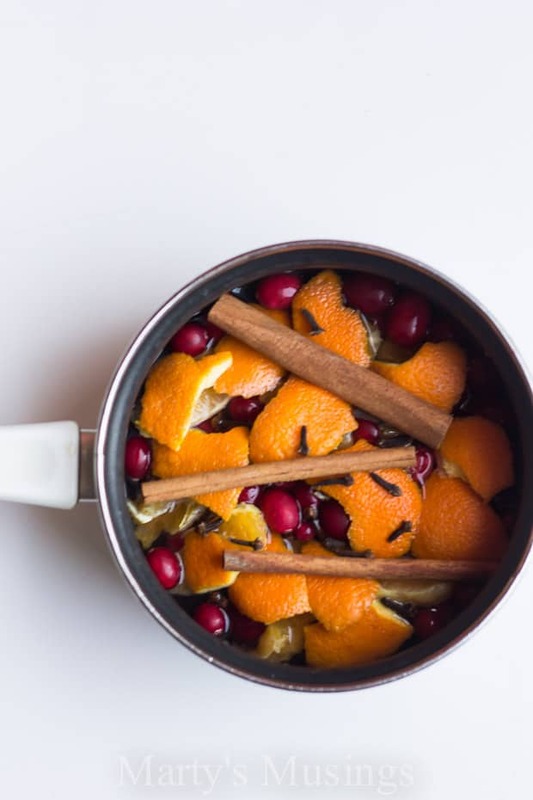 Made with four ingredients, the potpourri will have your home smelling like the holidays in no time! The cinnamon and cloves together create such a rich fragrance that I also enjoy using it during the day to get us in the holiday spirit. 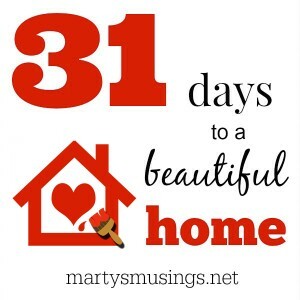 Next month, put on some Christmas music, take out the baking supplies and make some memories with your family! 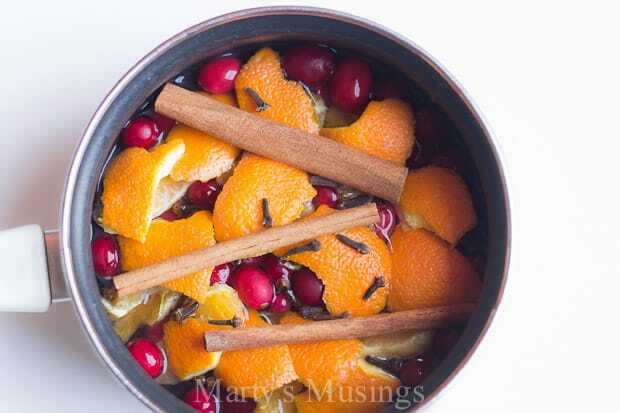 Make this easy homemade potpourri for a delightful holiday home! Quarter the orange and add to a small saucepan (or just use the orange peel). Add cranberries (I had some frozen) and cinnamon sticks. Fill pan with water and and set on lowest burner setting. 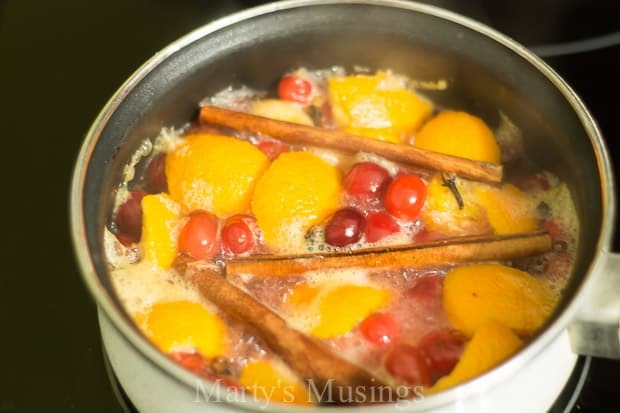 As the potpourri simmers, add water as necessary. Do not allow the water to evaporate. I check the water and refill as necessary every time I use it. Potpourri will last several weeks, but you can add more ingredients to freshen the scent as necessary. 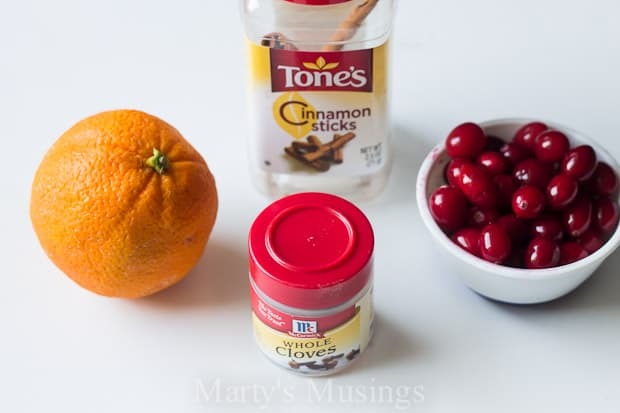 This mixture will fill your house with the warmth of the holiday season! Hi, thanks for sharing. Quick question! How do you think this would do in a crockpot???? Hi, Monica. I probably would not personally cook this in a crockpot just because I want to be able reuse it on other days. What do you do to with this in order to keep it for several weeks? I have made mixtures like this but throw them out at the end of the day. Thanks. Hey, gal. I just leave it on top of the stove and simmer when I want to. Now it won’t look pretty but it will still smell good. You can always add some fresh peel or cinnamon sticks to replace the old ones. I just pinned this and shared it on my facebook page. Can’t wait to try it! All the great smells melding together. What a wonderful aroma! Thanks for sharing, Michele! The potpourri smells wonderful and sets the stage so well for the holidays! Hi, Shirley. I do the same thing with the potpourri. I just pour it out and start over when it looks so ugly! Have a great holiday season! Can it be put into a jar? Ohhh I wonder if I can make it into a candle mix. How can i save the potpourri for couple of week? I let it dry? Hi, Angel. I just leave it in a pan on the stove and add some water the next time I use it. It doesn’t stay pretty for very long, but that’s okay. It’s the scent of Christmas! I just throw it out when it looks really bad and start another batch. Hope that helps! I make a very similar mix. As I use oranges, I set out the peels and dry them completely and then store in an airtight juar. I have kept them for months with no problem and as soon as you open the jar, the wonderful orange aroma greets you. I also use a simmering size or dip size crock pot for mine. I continue to add water as necessary and have added ground cinnamon as needed. It lasts for at least a couple of weeks. That’s a great idea, Sandy. What a fun way to bottle the scents of the season! 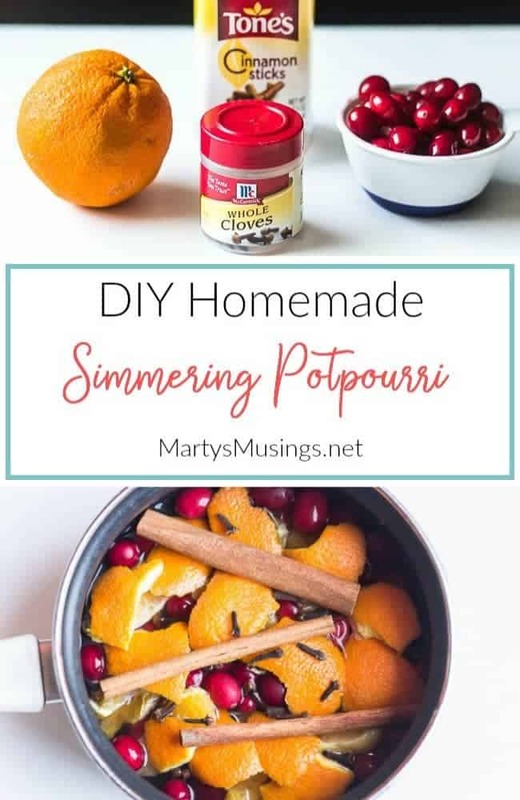 I love to simmer potpourri on the stove top or in my dip crockpot. It’s so easy to adjust the flavour to suit your mood. Love the addition of the cranberries. I love doing this, especially this time of year. It also helps put a little moisture in the air from the dry heat. What a great idea! I need this in my life. With 4 kids running around sometimes I can’t always pin point smells, so this would help until I could! Lol. Thank you for sharing with us at Throwback Thursday. I need to do this soon. I bet it smells amazing in your home. Pinned & shared. Thanks for joining the party! Fantastic idea! It smell good. Thank you for participating at Tasty Tuesday Creative K Kids. I pinned your post at Pinterest board.